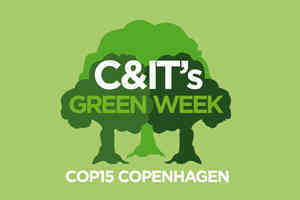 C&IT GREEN WEEK: The number of hotels in Copenhagen with green certification has grown from 9% to 53% over the past 18 months in the run-up to COP15. Hotels were offered incentives to become greener and reduce their carbon impact by conference organiser MCI Copenhagen (formerly NHG), which handled accommodation and logistics for COP15, currently taking place in the Danish capital. MCI Copenhagen managing director Lotte Wagner said the agency knew that hotels were not likely to lose business by not having green certification, since it predicted hotel occupancy to be high for the duration of the event anyway. "We had to think of a way to incentivise them to become more 'green'," she added. Hotels that had green accreditation, such as the Green Key, Green Globe Certificate or Nordic Swan Label, were placed higher on the online reservation page for the conference. "The greener the hotel, the more visibility they were given," said Wagner. Hotels recently accredited include the Axel Hotel Guldsmeden, which is the first property in Scandinavia to receive a Green Globe certificate, and Hilton Copenhagen Airport, which was certified with the Green Key in October. Meanwhile, the three Radisson Blu hotels in Copenhagen recently received the Nordic Swan Label, as did the Scandic Palace Hotel.